BJU is located in Greenville, South Carolina, and we love it! Greenville is an amazing place with amazing people. It’s special and innovative—the community of a small town with a big city’s to-do list. We’re grateful to be a part of a thriving community that is positively making a name for itself in the state and the rest of the country. Learn more about Greenville — GreenvilleSC.gov. 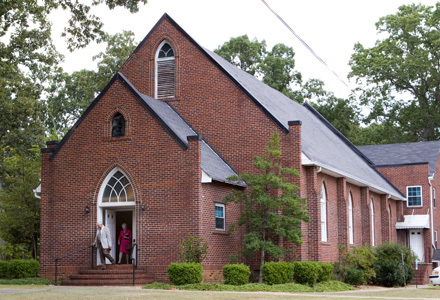 One of the aspects of Greenville that we love the most is the number of good churches that God has established here. You will have the opportunity to be a part of a local church while you’re in college. Both small and big churches benefit from BJU’s student population. You can serve in areas such as church outreach programs, music ministry, building maintenance and child care. 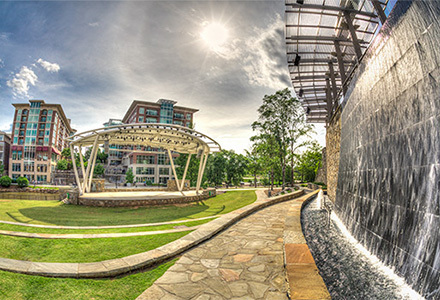 Downtown Greenville is a beautiful destination whether you’re looking for places to eat, relax, shop or enjoy the arts. A highlight of downtown is Falls Park and the Liberty Bridge, a structure like no other in the United States. The bridge is curved instead of straight to give those who walk across it a theatrical view of the park and the Reedy River. 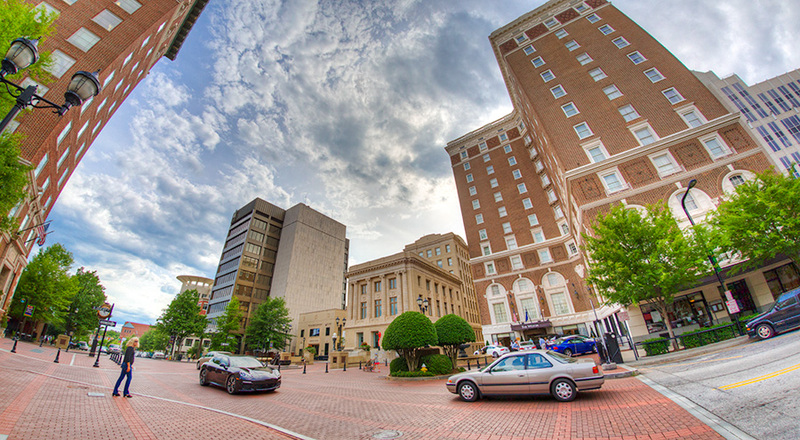 It’s no wonder that Greenville is recognized as one of the best downtowns in the country. You can be enjoying a latte at a sidewalk café on beautiful Main Street in downtown Greenville and then drive 15 minutes and be in Paris Mountain State Park, Greenville’s own stash of hiking trails and picturesque views. Or take a quick 30-mile drive to Table Rock State Park and enjoy even more beautiful scenery.